TECH-NET Professional is an elite performance network where independent service facility members have a common goal of being world-class automotive service facilities. The TECH-NET Professional program provides superior customer service by combining high-quality Advance Auto Parts parts, skilled automotive technicians and innovative consumer marketing programs. TECH-NET Professional is committed to serving you, our customer, with professional automotive repair at a reasonable cost with qualified technicians. We use quality Advance Auto Parts parts, guaranteed coast to coast. 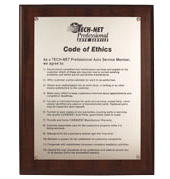 We stand on sound business principles and uphold high ethical standards. Our goal is to make your automotive repair experience friendly and successful.